4/21/13 "I hear a lot of anti-Semitic comments from tenants based on their experiences with landlords, the only visibly Jewish people with whom they have contact. (I was raised in the Reconstructionist movement, and I’m not visibly Jewish.) Sometimes I get a call from a tenant who tells me 'a Jew is in the building,' presumably meaning that a speculator has come around in hopes of purchasing it." …As tenants go through the process of foreclosure and organizing, they are suspicious of the men in suits who come to scope out their buildings. These speculators are often looking to purchase the building to turn a profit, and have no interest in becoming responsible, long-term landlords. I hear a lot of anti-Semitic comments from tenants based on their experiences with landlords, the only visibly Jewish people with whom they have contact. (I was raised in the Reconstructionist movement, and I’m not visibly Jewish.) Sometimes I get a call from a tenant who tells me “a Jew is in the building,” presumably meaning that a speculator has come around in hopes of purchasing it. Tenants complain to me that Jews don’t work on Saturdays, so it’s difficult to get in touch with their landlords. 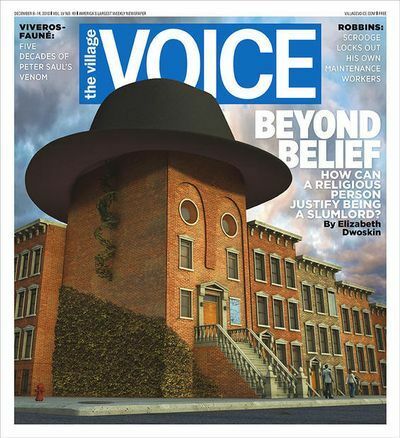 One time, when an Orthodox Jew bought a building in the Bronx, the tenants were convinced that he worked for the same company as the previous owner, also an Orthodox Jew. They had a difficult time trusting him. Recently I began working in a different building in the Bronx with another Orthodox Jewish landlord — or at least I think he is the landlord. He works for one of those slippery limited liability companies where it’s difficult to tell who owns the building and who works for the owner. The building is extremely distressed; in 2012 it was ranked by a city agency as one of the 200 worst buildings in New York City. The heat and hot water are completely unpredictable; some units are ravaged with mold, and there is a major rat infestation. Two months ago, the tenants and UHAB [Urban Homesteading Assistance Board] invited the landlord to a meeting so that they could find out about his plans to improve the poor conditions in the building. The meeting was tense: There were still major problems with heat and hot water, and because the landlord had not hired a Spanish speaker for his office, many tenants couldn’t communicate with management. At the meeting, the landlord declined to shake hands with several women. One of those women, an 80-year-old tenant leader named Antonia, turned to me and rolled her eyes. I uncomfortably whispered to her that he’s a religious Jew who can’t touch women he’s not related to. But I’m not sure my explanation made her feel any better. 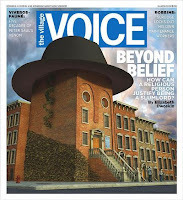 [B]y and large, the tenants continue to associate their negative experiences with Jews because their landlords are the only visibly Jewish people they know.